C# is a robust programming language that works well across multiple platforms. Programmers and developers alike enjoy using C# as it is extremely useful whether you are interested in developing applications using Windows, iOS, or even Android (for mobile app development projects). 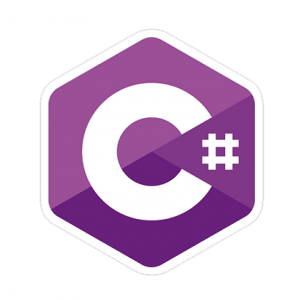 Understanding the advantages of using C# is a way for you to determine the best route to take when launching a new project of your own or seeking a team of C Sharp Developers to build and develop an application for you. Programming in C# provides you with an array of tools and frameworks that are backed and readily-available from Microsoft itself. In addition to having a wide library of resources available to you when working in C#, you are also able to utilize other tools that are provided by programmers using a third-party website or community. The .NET framework that is also involved with C# also provides additional benefits such as the ability to access resources for website additions, security functions, and other features that are unique or relevant to the website or application you have in mind. There are plenty of videos, written tutorials, and free guides on how to better understand C# and all of the features it has to offer. Our team is experienced in C# development and our expert C Sharp Developers are here to walk you through every step of development for your next project. One of the biggest perks of working with our C Sharp Developers is the quick support and updates regarding new features, patches, and fixes. 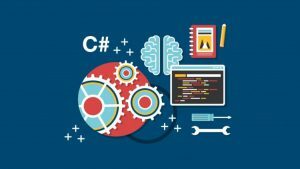 While there are other programming languages that offer similar abilities and additional features, C# is known for its community and quick support, whether you are a developer or if you are just getting started in programming yourself. Ask questions, share coding, and receive advice on how to tighten up your work before launching and going live. C# is also one of the most popular languages that are used universally when programming new applications or websites, ideal for those who are interested in unlimited online resources, tips, and tools to get started. As C Sharp continues to expand into the world of non-Windows environments, such as Mac and Linux, more users and developers are able to put the code to use. Having the option of developing on various platforms with one language is essential when you want to maximize your online reach without leaving any potential visitors, users, or prospective customers in the dark. 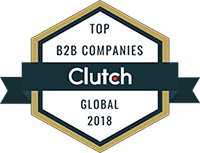 When you have the ability to reach users on a variety of platforms, stand out from other applications, brands, and companies that restrict their user bases. Losing half of your potential clients or customers simply because you are only able to share your application or website using iOS (or a Windows-based system) is a business decision that can ultimately keep you from becoming successful. C# helps to navigate the process of developing websites and applications that all function the same regardless of the operating system you choose. Because of its overall popularity, C# works as a “base” programming language which is ultimately helpful when seeking out new programming languages and functions to integrate with your work. Understanding how this particular language is beneficial is highly advisable anytime you are diving into a new development project for an application or website you plan to launch. Having a team of professional and senior developers allows you to bring any project you envision to life.